Maidwell Hall is a boarding and day school for boys and girls aged 7-13. Set in the midst of the most beautiful Northamptonshire countryside, it is a truly charmed place for children to spend five years of their childhood. We are always pleased to hear that children from Maidwell Hall are thought of as polite, happy and articulate, as we are very aware of the vital importance of these formative years in the life of a child and take our responsibilities seriously. First and foremost we want each child's experience of Maidwell Hall to be a thoroughly happy, enjoyable and fulfilling one. 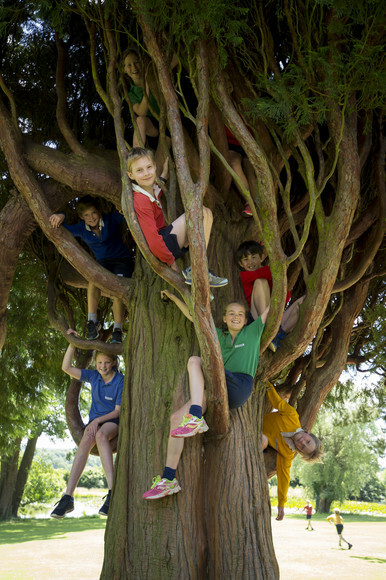 The children enjoy a great sense of freedom in our extensive grounds and are encouraged to climb trees and build dens with their friends, and while we have grown in recent years, we have sought to remain small enough to maintain the highly personalised approach that we consider to be so essential. A country house atmosphere prevails within the main 17th Century building, where the homely environment is a wonderful place for our children to flourish and discover their talents. We are proud of our excellent academic record and we encourage all our children to develop to the full and become interested in a wide range of different hobbies and activities. Equally, we aim to encourage the development of spiritual and moral values and the Christian foundation of the school underpins all that we do.